A great sounding mic can be made for under $20. The Panasonic WM-61A electret capsule (~$5 on ebay) can be modified to be used as recording or reference microphone. 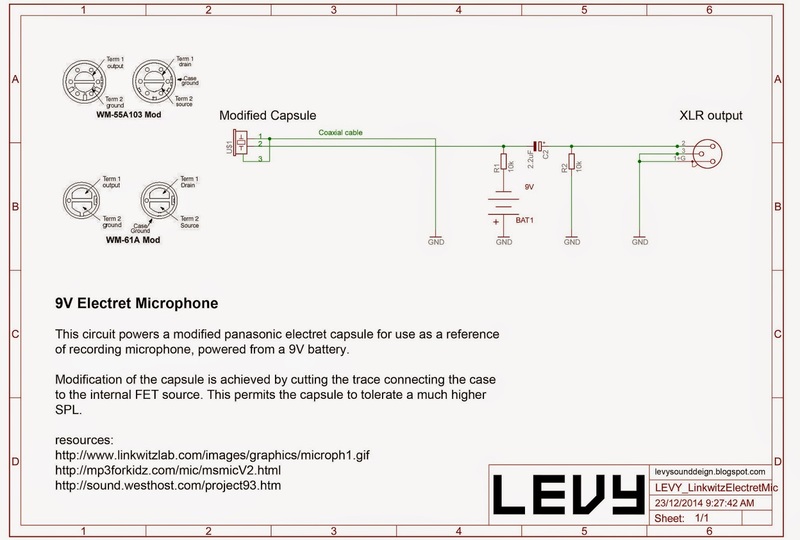 The mic (which is omni-direcitonal) is phantom powered with a 9V battery. This is the simplest and most noise-free method of powering the mic. The panasonic electret capsule must first be modified, by cutting the trace at the rear of the capsule that connects terminal 2 to ground. 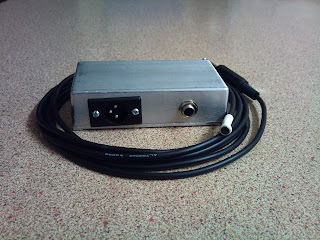 The capsule is wired to a coaxial cable, and a sturdy diecast aluminium enclosure houses the circuit, which is point to point wired.